Integrity plays a huge part in the success of a real estate agent and real estate broker. We are very proud of our fine reputation and live by Dr King’s words on a daily basis. 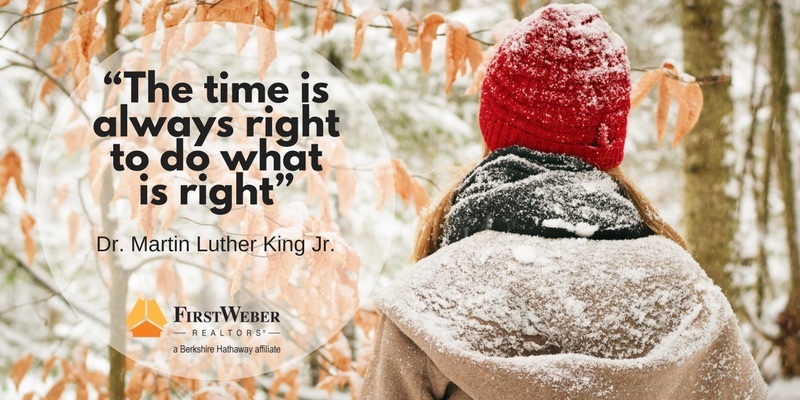 First Weber sells real estate throughout Wisconsin & more: Metro Milwaukee and Southeastern WI, South Central Wisconsin/Greater Madison, Southwestern WI, Western WI & parts of Minnesota, Michigan’s Upper Peninsula, Central Wisconsin, Northeast Wisconsin and Wisconsin’s great Northwoods.